Rare pictures taken of Kim Jong-un’s lavish home gives us a glimpse into the life of the North Korean leader. During Sergei Lavrov’s visit to the state – Russia’s minister of foreign affairs – photographer Valery Sharifulin was provided with exclusive access to one of Jong-un’s residences. 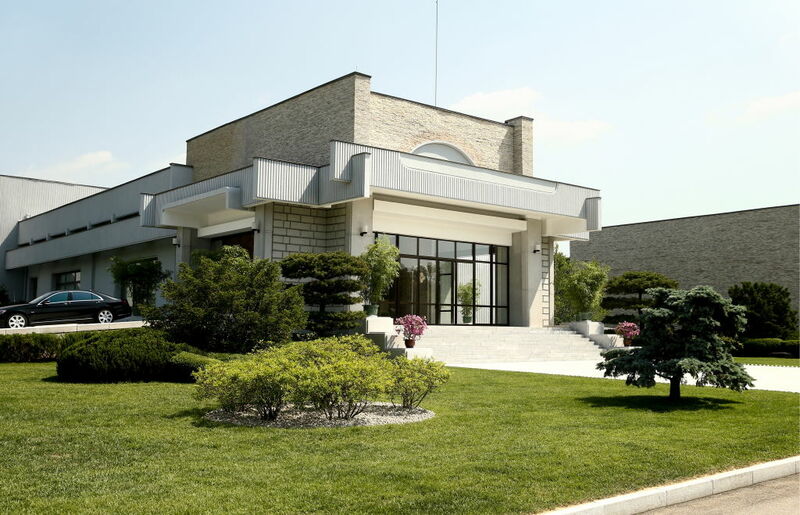 The luxurious palace, which is said to be where Jong-un hosts extravagant parties – with guests including former NBA star, Dennis Rodman – is based at a secret location in Pyongyang. The glass-fronted mansion, pictured above, looks out to the mountains in the distance, and is surrounded by gorgeous gardens featuring fountains and flowers. 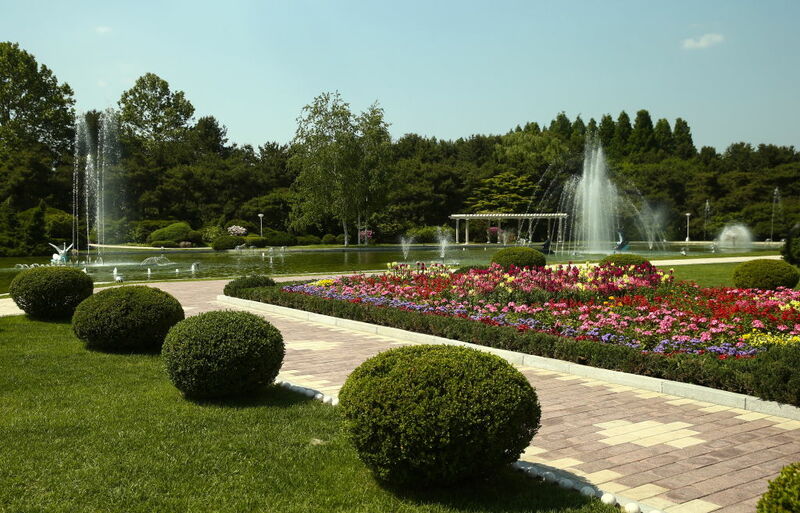 With a grand total of eight hidden palatial residences outside of the capital, I think this has to be one of Jong-un‘s favourite placea to enjoy some time away from politics. I can imagine him now, strolling around the gardens in his trademark all-black outfit, planning his next move for North Korea. The visit from Russia’s Lavrov came after one of Jong-un’s aides flew to New York in an attempt to salvage a summit between US President Donald Trump and the North Korean leader. Only a week after scrapping his talks with Kim Jong-un, Trump announced on Friday (June 1) the historic meeting is back on. The two leaders will negotiate terms of North Korea’s denuclearisation when they meet on June 12 in Singapore. Earlier this year, back in April, when Jong-un met South Korean leader Moon Jae-in, they agreed to ‘rid the peninsula of nuclear weapons’. Making a joint statement after a meeting at the border, the leaders of the countries also agreed to ‘push towards’ a peace treaty later this year. During these talks, Jong-un became the first North Korean leader to step foot in the neighbouring country since the end of the Korean War, in 1953. Following the meeting, The White House issued a statement saying it was ‘hopeful’ the talks would make ‘progress towards peace and prosperity’. The United States appreciates the close coordination with our ally, the Republic of Korea, and looks forward to continuing robust discussions in preparation for the planned meeting between President Donald J. Trump and Kim Jong-un in the coming weeks. US Vice President, Mike Pence, also had his say on the Inter-Korean Summit, emphasising there’s still a long way to go and plenty of work to put in when it comes to the relationship between North Korea and the US. 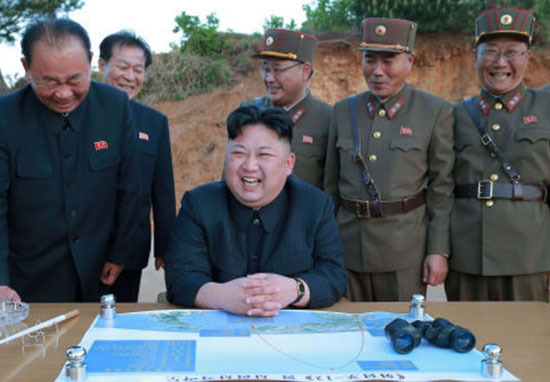 The fact that North Korea has come to the table without the United States making any concessions speaks to the strength of President Trump’s leadership and is a clear sign that the intense pressure of sanctions is working. 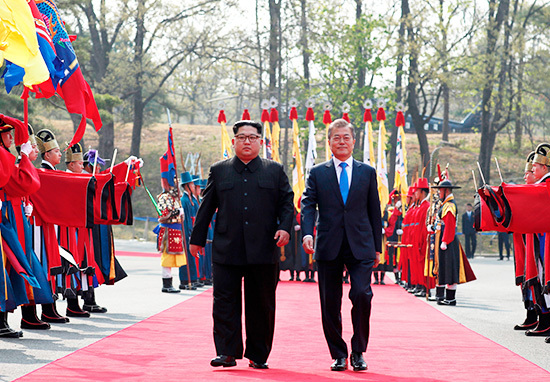 The Korean peace agreement is a step toward denuclearisation of the Korean Peninsula, but it is just one step. Any talks, promises, and assurances from North Korea will be met with reservation, vigilance, and verification. Planning for the United States and North Korea Summit continues, but as we’ve said before – the pressure campaign will continue unabated. It’ll certainly be interesting to see what comes from Trump and Jong-un’s meeting.